It’s official – we are now fighting a war against plastic. Why is it then, that whenever we walk through the supermarket aisles – it’s still all we see. Plastic wrappers, plastic bags, plastic containers, plastic bottles…the list is endless. 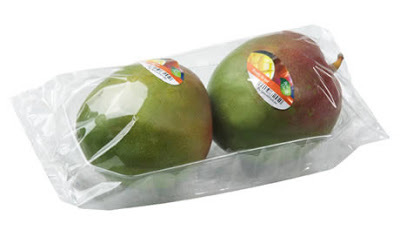 Despite its natural ‘packaging’, fruit and vegetables are still being covered, sealed and carried in plastic. Most of the time, it’s completely unnecessary. A truckload of plastic packaging is entering our oceans every minute, which has harmful effects for marine life. It is estimated that by 2050, there will be more pieces of plastic in the ocean than there are fish. In today’s world, consumers are more informed than ever before, which allows them to gain an in-depth understanding about the environmental impact of businesses and their practices. Research has shown that nearly 80% of London shoppers agree that supermarkets use too much packaging on their food items. This puts pressure on brands, and global brands like McDonald’s, Coca-Cola and Costa have all recently made pledges to overhaul their packaging. However, brands need to look beyond the PR opportunity and ensure they are truly committed to changing the way they package their products. A long-term plan is needed. After all, brands have a responsibility – not only to society but also to our environment. Especially with so many great, sustainable options out there (as mentioned in our previous post), it’s hard to understand why so many brands still use unnecessary amounts of plastic packaging. Iceland leads by example and the frozen-food giant has confirmed that it will eliminate plastic packaging from all own-brand products within the next 5 years. We hope many other FMCG brands will follow Iceland’s example and move on to more sustainable non-plastic alternatives for their branded packaging. If you’re in need of a new, sustainable packaging design for your FMCG brand, contact CuCo today on 01202 911959 or email hello@cucocreative.co.uk – we’d love to help!